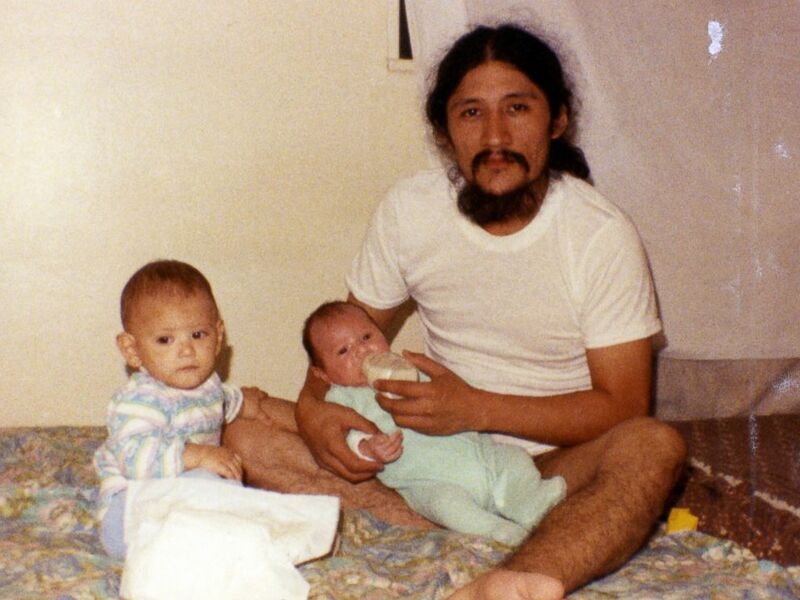 For their entire childhood, the Angulo brothers had only one true escape from their lives confined inside their family’s New York City apartment. “As far back as I can remember anything -- like, as far back as I can remember loving my mom -- I remember movies,” Narayana Angulo, 22, told ABC News’ “20/20.” “They were like a door into another world." Watching movies was the one privilege, the brothers said, that their father allowed. When the children were younger, their only view of the world was through their mother Susanne's memories of the life she used to have. Susanne met Oscar Angulo, a Hare Krishna devotee, when she traveled to Peru in 1989. For more than a decade, Narayana, Mukunda and their brothers Bhagavan, Govinda, who is Narayana’s twin, Krisna (who now goes by Glenn) and Jagadesh (who now goes by Eddie), shared an apartment with their oldest and only sister Visnu and their parents, Oscar and Susanne, in a housing project located in Manhattan’s Lower East Side. Until five years ago, the six brothers were rarely let outside. “Our dad was the only one who had the keys to the front door, no one else, not even our mother,” Mukunda added. To entertain themselves, the brothers consumed movies from their father’s collection of over 2,000 films. The brothers memorized and transcribed every movie line, spent weeks creating handwritten scripts and homemade costumes and props, and then performed their favorite scenes for each other. 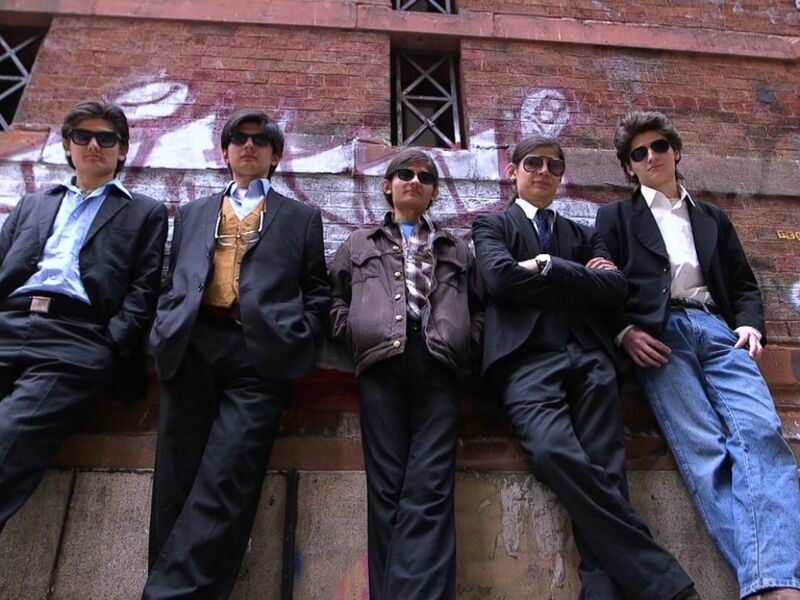 Their unusual upbringing is the subject of the documentary, “The Wolfpack,” which focused on the six brothers, then ages 11 to 18. In the documentary, Oscar also explained his fear of the outside world, and paranoia of other people. Their mother Susanne was raised in rural Indiana, where she grew up roaming acres of corn fields. She met their father Oscar Angulo when she travelled to Peru in 1989. Susanne eventually married the Hare Krishna devotee, and they then moved to West Virginia to live in a Hare Krishna Center. Eventually they moved to New York City and and moved into the Lower East Side housing project. For the next 14 years, Susanne and the seven children lived by Oscar’s strict rules in the 16th floor apartment. 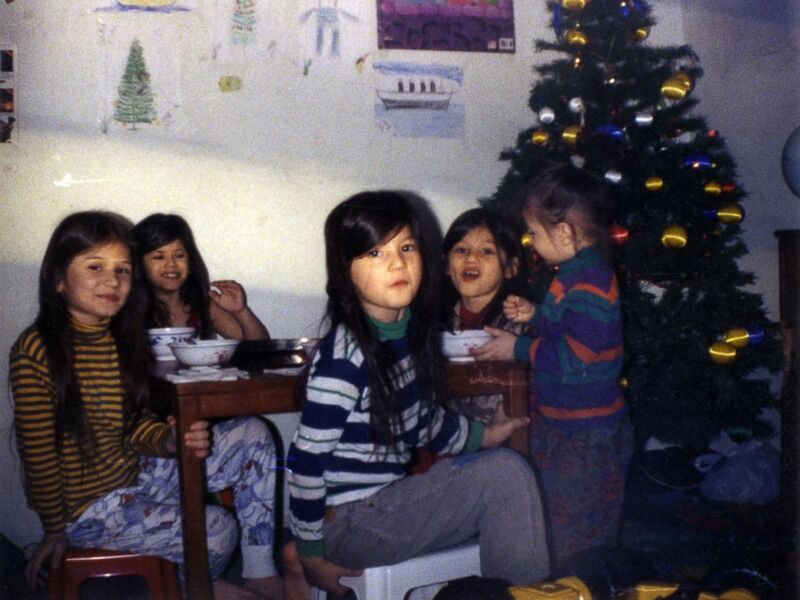 The family had no outside friends, and even their neighbors didn’t know they existed. The kids were also raised with their father’s customs and traditions, which included growing their hair to waist-long lengths. “’When you have long hair, you are powerful.’ He was like, ‘Be a powerful person,’” said Mukunda. When the children were younger, their only view of the world was through their mother’s memories of the life she used to have. “It was hard because I thought I wanted them to be out in the fresh air, because that’s what I did as a child,” Susanne said. The apartment had six rooms for the family of nine, but the children were forbidden from entering two of them, because the rooms shared the neighbors’ walls. Oscar blocked the front door with a tall ladder to keep intruders out and his family in. But by their mid-teens, Oscar had taped over windows in the apartment temporarily, and claustrophobia was taking a hold on the brothers. In 2010, Mukunda, then 15, worked up the courage to step outside the apartment for the first time on his own. After Makunda’s escape, Oscar was no longer in control at the apartment, and the brothers began going outside together. On one of their first excursions out together, filmmaker Crystal Moselle spotted them. “We shared the same passion. [We] immediately made a connection from there,” Bhagavan said. Moselle befriended them and soon became their mentor and guide to filmmaking and the outside world. She filmed many of their first experiences, such as their first bike ride, their first visit to a restaurant, their first time on a beach – she took them to Coney Island -- and their first time at a movie theater. With each new experience, the brothers became further separated from their father. Jagadesh, the youngest, changed his name to Eddie, and Krisna changed his name to Glenn. Four of the brothers cut off their long hair. “I feel like it was a new start,” Govinda, 22, told "20/20." 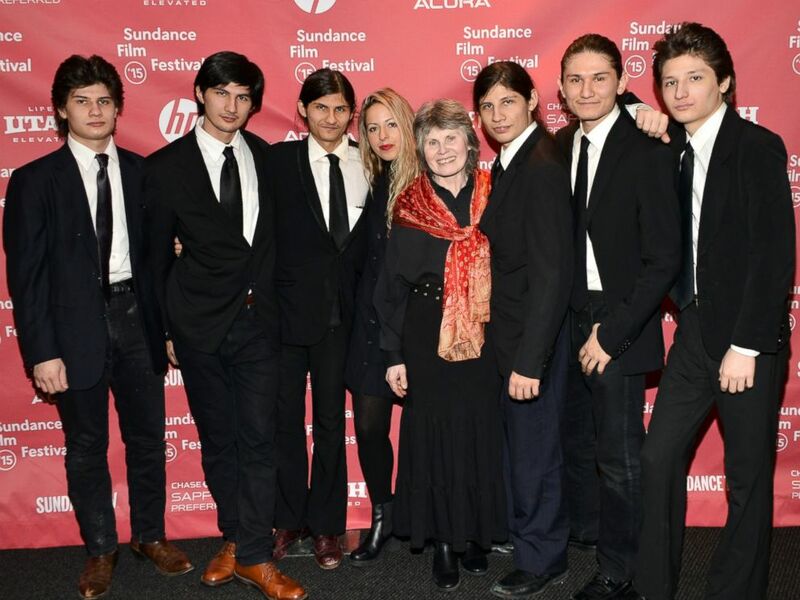 Moselle’s nearly five years’ worth of footage became the documentary “The Wolfpack,” which won a Grand Jury prize at the 2015 Sundance Film Festival and premiered nationwide in select theaters on June 19. 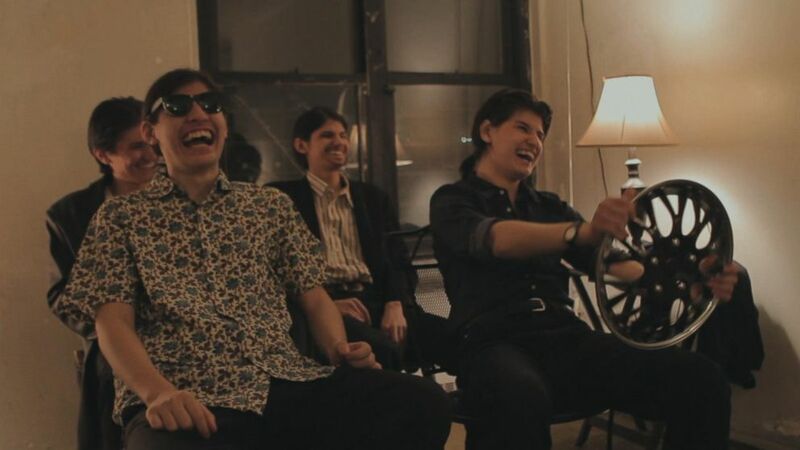 "The Wolfpack," Crystal Moselle's documentary about the Angulo family, won a Grand Jury prize at the 2015 Sundance Film Festival. Since the documentary’s debut, the Angulo brothers, who once couldn’t imagine speaking to strangers, are now at ease at red carpet appearances, in magazine shoots and amongst Hollywood stars. As of June 2015, the family still lived in the apartment together, except for Govinda, who moved to Brooklyn. Govinda said he has forgiven his father, because he said has no regrets in life. “If I was always living in regret and just hating on the way things were done, I probably wouldn’t be able to move on,” he said. Her biggest step was reaching out to the family she hadn’t contacted in 20 years. 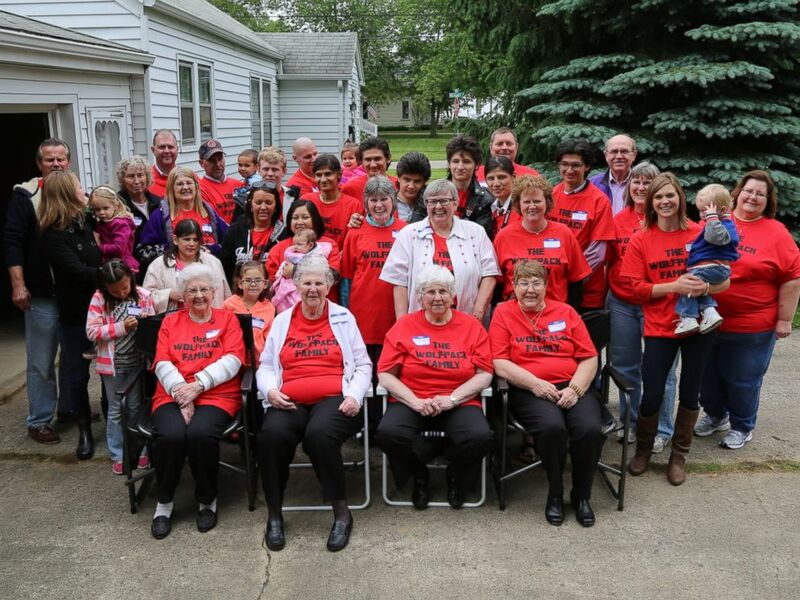 In May 2015, ABC News’ “20/20” brought Susanne and her seven children to Three Oaks, Michigan, for a family reunion, where her sons and daughter met their grandmother and other relatives for the first time. “It feels like a whole new world just opened up,” Mukunda said. “To see them be able to talk to their grandma and say, ‘Grandma! Hi grandma…’ They never thought they were going to do that. It's a really beautiful first,” Moselle said. In May, ABC News' "20/20" brought Susanne and her seven children to Three Oaks, Michigan, for a family reunion. Despite having spent most of their lives inside, the boys say they don’t have time to dwell on everything they’ve been through. “Life is too short,” Mukunda said. Bhagavan is a yoga instructor and attends the Hip-Hop Dance Conservatory. Govinda is a camera assistant and director of photography, and Narayana works at New York Public Interest Research Group. Mukunda is an on-set production assistant at All Day Every Day, while Glenn, 17, and Eddie, 16, are aspiring musicians who love 80’s music and culture. “I hope that people feel empowered when they hear our story… to not be afraid and not to give in to oppression, but to fight,” said Narayana. “I think we’re going to be more than okay. I think we’re going to be great,” Govinda said. Five of the Angulo brothers, from left to right, Bhagavan, Govinda, Narayana, Makunda, and Jagadisa (now Eddie). featured in "The Wolfpack" are shown here during an interview with ABC News' "20/20."